It's a big "Yes" from Rosie O'Donnell! Elizabeth Rooney, the police officer, and her 56-year-old fiance Rosie O'Donnell are officially engaged. Unscrewing the engagement news, the American-native took it to Instagram flaunting her engagement ring on 23 October 2018. Although the engagement news has flaunted all over the social media, their wedding day will be a long time in the future. Another Officer: Lea Gabrielle Divorced Navy Officer Husband; Married Again At Age 43? The duo had been dating for a year before they stepped up for engagement. Scouring more into their love-life, the pair had been sharing a long-distance relationship as the Police Officer, age 33, resided in Boston, and Rosie resided in New York. As per wiki sources, their relationship went public in November 2017. Despite being separated by a long distance, their relationship never took its toll with a shortcoming. Rosie seemed happier with the relationship as she felt that Elizabeth was someone who had influenced her. Elizabeth, on the other hand, had also fallen in deep love with her as she never rose concerns about the 23-year-age gap between them. A happy ending to their strong relationship could have been nothing else than engagement. While all the buzz about their engagement kept on ringing, people were led to a misconception if Elizabeth was her 20-year-old daughter, who had been pregnant. However, all the misunderstandings got cleared as her daughter's name was actually Chelsea, and meanwhile, there's no stopping to the buzz that's been built around. These enthralling episodes in Rosie's life have surely lit up happiness and brought colors into her life. But as the coin has two sides, her life too has the shady side. Discover: Tammy Hembrow Post Pregnant Bliss, Husband To-Be Tragedy - Cheating Beau? The VH1- Deejay was previously married to Michelle Rounds, who died at the age of 46, of an apparent suicide in September 2017. Before Michelle, Rosie was married to Kelli Carpenter-O’Donnell from 2004-2007. 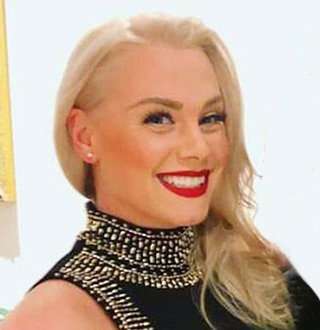 Adding more to her relationship whereabouts, she also has four children — son Parker, 23, son Blake, 18, and daughter Vivienne, 15, and 21-year-old estranged daughter Chelsea— from her relationship with Kelli Carpenter and daughter Dakota with Michelle Rounds. However, it doesn't create any havoc in her relationship as she's moved on from everything and feels Elizabeth has stolen her heart.